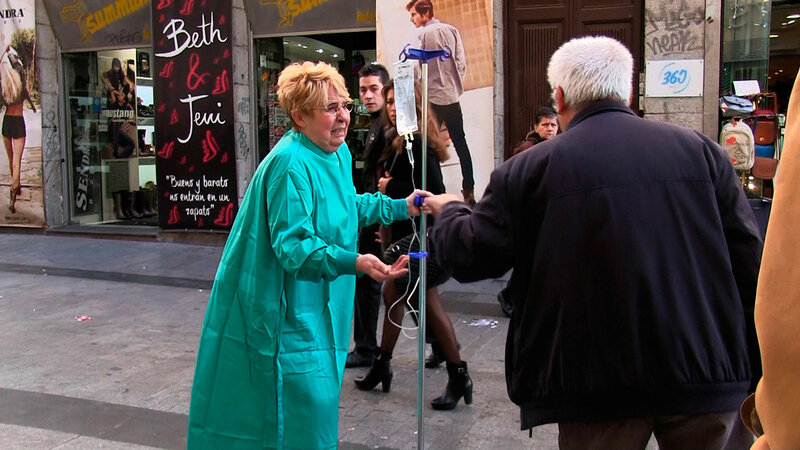 The aim of this action is to bring to light the real problems which many people face due to the recent health cuts in Spain ( the retired, immigrants, people with chronic illnesses, the unemployed, and so on) and those we may all face in the future if health becomes a luxury reserved for only a few. 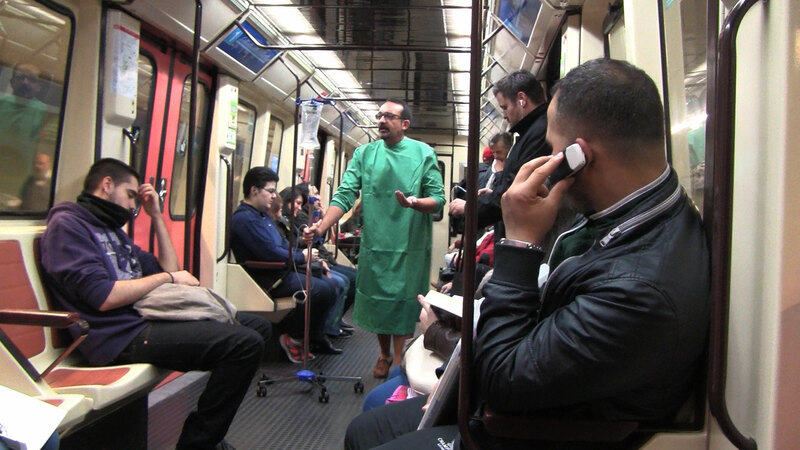 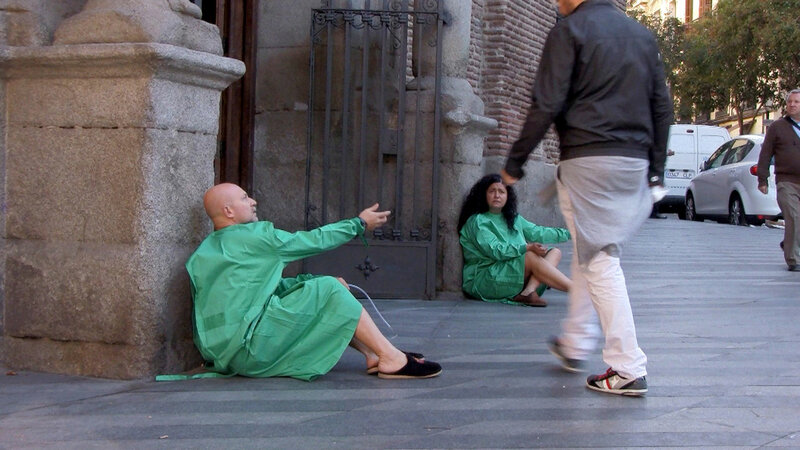 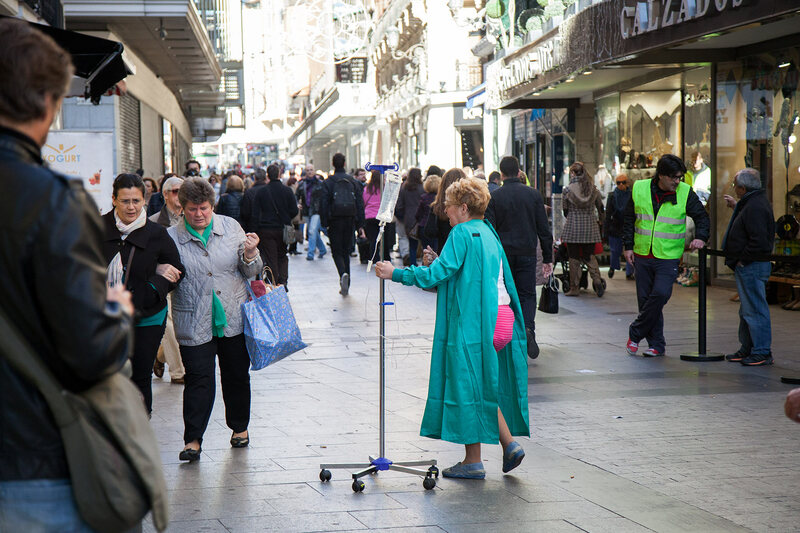 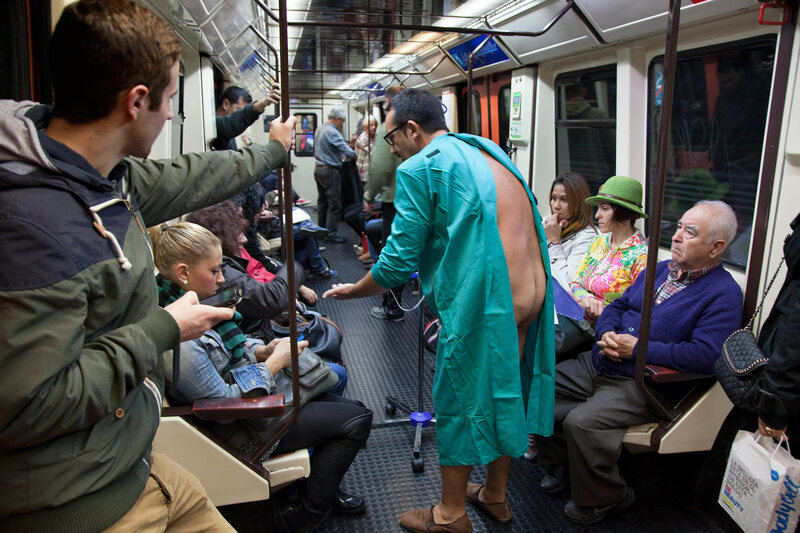 Various actors and actresses dressed in hospital gowns, slippers and with IV poles go through the streets of Madrid asking for health support or to buy medicine, reenacting a hospital scene which transmits great vulnerability: an ill person about to be operated on “caught with their pants down”. 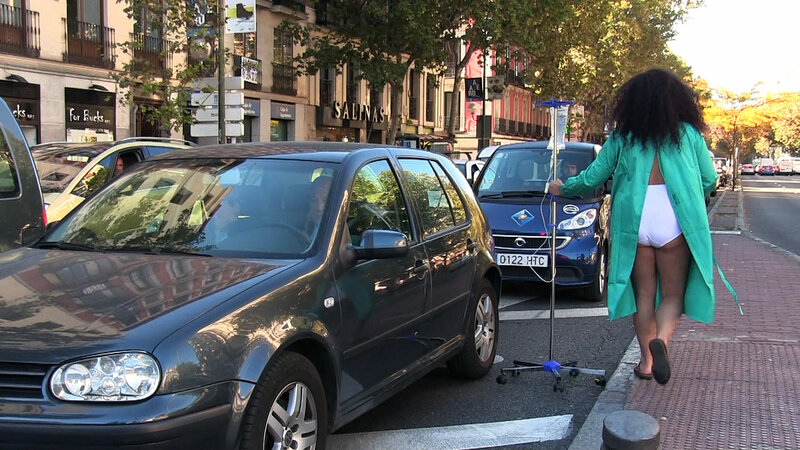 A metaphor for the abandonment and the defencelessness of the people who can’t pay for private health. 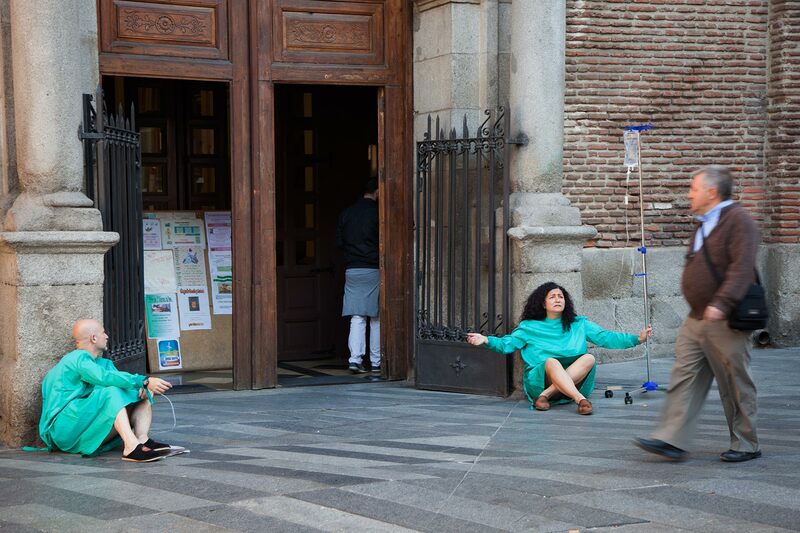 The shocking scenes – part of the Médicos del Mundo campaign “No-one turned down” – deeply affected the passers-by who, assuming that it could be a matter of something real, OFFERED help to the ill people and expressed their unease with all kinds of comments and considerations: “How horrifying!” , “Are we really turning the country into this?”, and so forth. 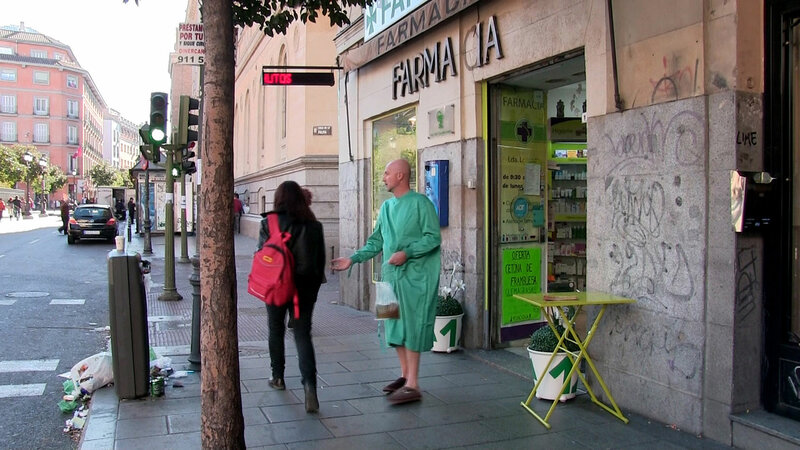 In this case the harsh reality which many unattended people are living is much stronger than fiction.